Featuring a borderline non-existent story, mercilessly padded with repetitive nonsense and the total failure to even make an effort to pretend this is anything related to the Peanuts universe, you’ll wander out of a viewing in a daze, astonished that a 25 minute animated special could leave you failing the concussion protocol. 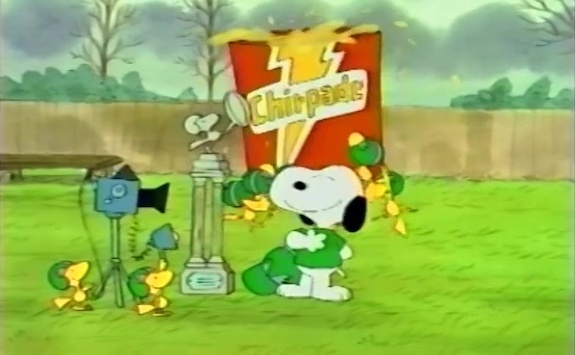 The opening prologue features Snoopy coaching a team of Woodstock-like birds in a football game against a bunch of cats. Long and dull with an obnoxious announcer calling the game and only enhancing how much it feels like a cheap shot to the groin, you at least breathe a sigh of relief once the title screen appears since that signals the beginning of the story proper and you won’t have to watch anymore of these dopey Animal Football League games again. Except that the show repeats this two more times! And don’t make the mistake that this is some endearing bit of whimsy involving a crowd-pleasing performance by Snoopy as he dances through the mundane Peanuts world to the beat of his own joyful heart. 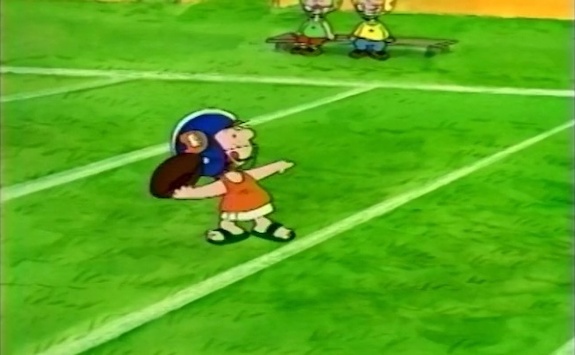 He just stands on the sideline doing nothing and even has to put up with Lucy criticizing his coaching during the Animal Football League championship game, despite his team winning the game by more than 60 points! But this is just the throwaway part of the special, right? The real meat is all about Charlie Brown going to the Super Bowl! That’s got to be super! I mean, it has to be because it’s in the freaking title! But he doesn’t get any closer to going to a super bowl than Barry Sanders, Earl Campbell or O.J. Simpson! The gang enters a punt, pass and kick competition where the prize is a new bike and a trip to the Super Bowl to compete in nationals! In the show’s sole nod to the series’s iconic moments, Lucy pulls the football away before Charlie can kick it. Everything else is simply a dull parade of various Peanuts characters throwing a football, having the distance measured, then kicking it and having the kick distance measured. Did I laugh when we found out the Linus was four inches better than Charlie Brown? Yeah. But was I shocked? Not really. Charlie Brown is a pudgy bald loser, so I never had him figured as too impressive in the inches department. 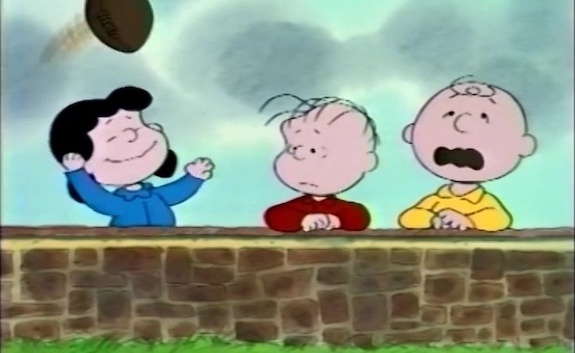 So the whole Peanuts gang loses, none of them go to the Super Bowl and the show just sort of ends in listless fashion, a final scene on a bridge with Linus whining to Charlie Brown, the cartoon equivalent of kneeling down to kill the last 20 seconds of a sixty point blow out. 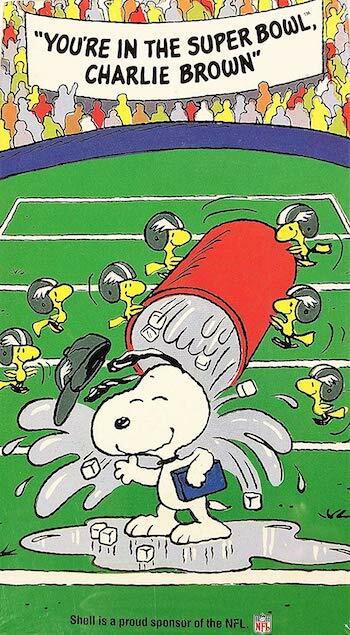 A cringe-inducing curiosity that leaves you wondering just exactly how much involvement creator Charles Schulz really had in it, as it reeks of a purely craven concoction between the marketing “geniuses” of the NFL and United Feature Syndicate. The most interesting aspect of this funnies fiasco is its home video release situation. It has only been released one time, on VHS, as a special promotion at Shell gas stations. And despite that that might make it hard to find, you’ll hear hardly a peep from anyone demanding a digital or DVD/Blu-ray release. Much like Melody Melody, no one will care if it is never seen again.